It is when inflammation becomes chronic – or a constant feature of your physiology that is always engaged, that problems arise. 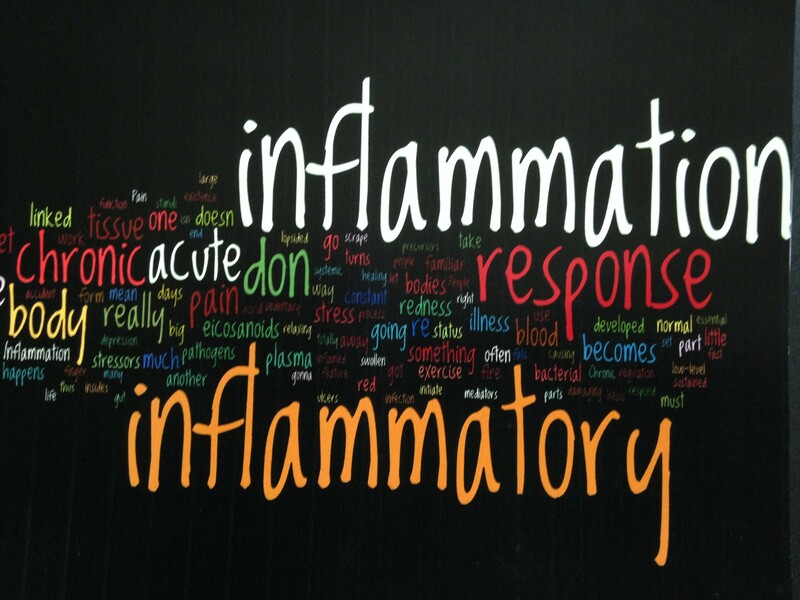 Chronic inflammation is defined as long-term inflammation, which can last for several months and even years. The inflammatory process is supposed to be short lived, not on-going. The inflammation continues to cause tissue to break down, targeting pathogens before healthy tissue can be restored. This chronic whole body inflammation appears to be involved in atherosclerosis, the process that leads to cholesterol – clogged arteries. The increased inflammation causes the endothelium of the blood vessel to swell with fatty deposits, to redden and to scar. Additionally the inflammation activates platelets, making them stickier. increasing the likelihood of a clot to attach to an inflamed endothelium and then – the mechanisms of a heart attack and sudden death are in place. The first step in fighting inflammation is, of course, diet, diet, diet. Today’s typical diet is overwhelmed with fast and prepared foods, sugars, refined flours, processed meats and eggs – all priming a perfect storm for inflammation. Replace these foods with fresh fruits and vegetables that will lower the liability of inflammation. They contain substances that trample inflammation-provoking free radicals that act as direct anti-inflammatory agents. Look for red onions, tomatoes, broccoli, red grapes, berries, and oranges that contain flavonoids that have anti-inflammatory properties. Tart cherries (my fav!) have powerful anti – inflammatory properties. A study at Vanderbilt University Medical Center in Nashville, Tennessee revealed that eating cruciferous vegetables lowered the risk for cancer and heart disease partly as a result of their anti-inflammatory effects. Cruciferous vegetables include cabbage, broccoli, bok choy, brussel sprouts, kale and cauliflower. Eat traditionally prepared “real” food. Foods free of pesticides, herbicides and all chemicals are ideal. Animal foods derived from animals raised 100% on pasture or wild are anti-inflammatory. The meat from animals raised in confined animal feeding operations is very high in omega-6 fatty acids and quite low in omega-3 fatty acids. Grass fed beef has a more favorable omega-3 to omega-6 fatty acid ratio. You can find these at hometown meat shops like Straka Meats. Eat more omega-3 “good” fats and oils found in deep water fish like herring, salmon tuna, and cod, as well as olive, grapeseed and avocado oils. Avoid saturated and trans fats. Eat whole grain breads, brown rice and other whole grain cereals. Choose dark chocolate – get it with less sugar and fat. Look for dark chocolate with 70 percent or higher cacao—protects against inflammation, and research suggests that hot cocoa does too. Alcohol in moderation appears to lower levels of C-reactive protein (CRP) which a marker of inflammation. Red wine has an anti-inflammatory chemical known as resveratrol which is found in the red skin of grapes. Resveratrol is also considered to fight against aging. Regularly drinking green tea has been found to reduce inflammation. Green tea contains the highest concentration of powerful antioxidants called polyphenols which fight free radicals and reduce inflammation. Spices with anti-inflammatory properties include turmeric, ginger, garlic, basil and pepper. The Mediterranean diet encompasses inflammation fighting foods if you prefer to follow a heart healthy diet plan. 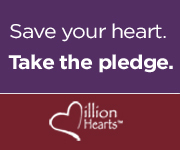 A study at Emory University School of Medicine in Atlanta, Georgia found that poor sleep quality increases the level of inflammation, thereby increasing the risk of developing heart disease or stroke. The National Sleep Association recommends we strive to get 8 to 10 hours of sleep each night. Sunlight triggers the production of Vitamin D that is both anti-inflammatory and assists in deterring the stress response. Any exercise that encourages movement will reduce inflammation. Try yoga, Pilates, dance, biking or even gardening. Movement is key. Chronic inflammation is implicated in the development of heart disease, while the inflammatory process is fundamental in the atherosclerotic process. Know that the management of inflammation is vital to your health. Good reminders! I had an excellent spinach, goat cheese, walnuts, and dried cherry salad with a raspberry vinaigrette for lunch. Healthy is delicious! Thank you Rebecca! I am certain I would LOVE that salad! You are right, healthy is delicious! We missed you all at Fanny Hill brunch today… where we tried our best to eat healthy too. I LOVE YOU! Take care… and I will talk with you soon. Yes, indeed, all great reminders!!!! Diet, diet, diet…so true!!!! Exercise is VITAL, too!!! NOW, I just have to learn how to get rid of stress…maybe it is to eat chocolate?!!!! Thanks for all the great reminders!!! Thank you, Theresa, for sharing the secret antidote for stress – chocolate! (I believe it should be dark chocolate.) I feel a “How to Deal with Stress” posting brewing….